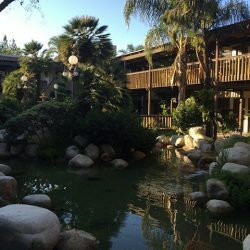 Welcome to New Life Treatment Center we are one of the best Drug Addiction Center Orange County has to offer! Alcohol abuse and drug addiction have the capability of wrecking people’s life. Being a drug addict can lead to hurting your loved ones and destroying your relationship with other people. In fact, some families end up avoiding or abandoning a member that is liable to being an alcoholic or addict. Have you lost your job due to being out of mind by alcoholic influence? Drug addiction and alcoholism can even make you have a logged head with policemen unknowingly. But we’re here to help you, and/or your loved one. Achieving true freedom from drug addiction. Contrary to popular beliefs, drugs and alcohol can never create the true sense of joy users crave. We’ve discovered that true freedom and happiness resides on the inside of every person. When you come to New Life Treatment Center, our trained professionals will guide you each steps of the way. You will no longer live with the synthetic sense of happiness. Yes, we believe you deserve more than that. New Life Treatment Center provides guided recovery aiding in the management and control of fear, anxiety, depression and other negative emotions so people can experience a NEW LIFE full of vitality like they have never seen before. Intensive Outpatient Counseling with FREE Sober Living lodging possible while enrolled in New Life Treatment Programs. Your journey to recovery from addiction begins with detoxification; which is usually the first phase in the 3-step phases that we use. Our trained medical professionals handle both the emotional and physical discomfort that you or your loved one may experience as a result of withdrawal from unhealthy chemicals. Once the physical detoxification has been attained, New Life Treatment Centers explore the core emotional and mental concerns to eliminate obstacles and distractions that keep users stuck from achieving true, tangible, permanent happiness. To accomplish this, New Life Alcohol and Drug rehab centers deploy proven, distinctive treatments focusing on the personal, underlying causes that produced drug or alcohol abuse in the first place. Once it’s ascertained, the rest is easy. New Life Treatment Centers for alcohol and drug detox have designed the perfect plan and ideal location leading to long-term, sustainable recovery and a happier life for you and your loved ones, as you live life going forward. Make a change TODAY and call to speak with our professionals or counselors. Alcohol abuse and drug addiction have the capability of wrecking people’s life. Being a drug addict can lead to destroying your loved and long time relationship with other people. In fact, some families end up avoiding or abandoning a member that is liable to being an alcoholic or druggist. Have you lost your job due to being out of mind by alcoholic influence? Drug addiction and alcoholism can even make you have a logged head with policemen unknowingly. There is every possibility to fall sick after several doses of alcoholic drinks. This will even create an avenue to get more alcohol and drugs. With all these occurrences, some addicts still try to run away from a drug rehab center. Drug addicts will always have tons of reasons for not visiting a well-programmed rehabilitation center. In truth, active addiction without treatment may cause worse things to happen to a victim of this abnormality. This can be found in the likes of financial devastation, divorce, devastating mental health signs and overdose. As a drug addict, chances are you know the repercussions of not going for any treatment in this delicate condition. Fighting drug addiction and alcoholism through the right channels and methods will always bring a breakthrough. This is where effective programs designed to cater to drug addicts come into play. These programs are often run by the best professionals and specialized rehab firms in the industry. Using a professional rehab service to fight addiction comes with several advantages. The advantages to be discussed in this article will help you to make the right decision and start your recovery treatment. It will also help to overcome your alcohol abuse or drug addiction easily. One of the best solutions for any alcohol abuse victim or drug addict is visiting a professional. rehabilitation center. In the alternative, victims can also try out well-designed substance abuse addiction programs. In this section of the article, you will see why using any of the above option will help cure or treat your disorder quickly. Physical withdrawal signs are something that a drug addict or alcohol abuse patient cannot escape. So many people suffering from this problem usually get scared of physical withdrawal symptoms. This can even make some alcoholics run away from treatment. For people who depend on prescription sedatives, opiate painkillers and alcohol, this is always their first complaint. With the help of a drug addiction program or professional rehab center, these signs will no longer become a horrible experience or threat. Rehab centers know the actual medications to provide a victim in making the healing process work quickly. To identify co-occurring complications is a huge problem for victims. People suffering from addiction or alcoholism do not take time in receiving the right psychiatric and medical treatment to remain healthy. This means that some affected victims may live in a rehab clinic with behavioral disorders, learning issues and co-occurring mental health complications. These issues need to be treated because they may be contributing to the alcoholic or drug addict disorder. Professionals in rehab centers are well-trained to connect with patients in evaluating their condition. Through this process, rehab experts will be able to identify any contributing factor to the patient’s condition. Most well-designed drug addiction programs allow for professional therapy and family support. There is every possibility for the family to support an alcoholic or druggist in the course of the problem. In the recovery process, family members have a huge role to play. This will usually work if the drug addict and family member accept the method to be a positive and reliable option. Rehab centers offer workshops, educational support groups and family therapy sessions to help a victim. This will give family members the opportunity of accessing victims before and after treatment. To know what medical care is required, drug addict and alcohol abuse victims should visit a rehab center. The right drug program programs will provide a victim the required medical treatment to feel better and remain stable. This is applicable to anyone experiencing withdrawal signs, severe medical issue or undisclosed disorder. When underlying mental health signs show up, it may be difficult for a victim to handle the problem. For this reason, it is important to use mental health cure to resolve the problem. Drug addiction programs or rehab centers are expert in providing the best solution in a time of need. For instance, a patient may be suffering from mental health complications such as mood swings, anxiety, depression and just to mention a few. It is important to be treated for issues of this nature while passing through treatment for alcoholism or addiction. There are plenty of comprehensive resources in a professional rehab center or program. This will help to provide patients with comprehensive cure for mental health complications. These measures can help to resolve problems worsened by previous drug use or relating to the actual cause of the complication. Drug addiction programs or rehab facilities usually help you to choose from a wide range of therapies that suit you. For your recovery, holistic cures such as meditation or yoga, alternative measures like hypnotherapy or acupuncture, and local therapies such as twelve-step meetings can help effectively. Using rehab centers or programs will help to link a victim to a special mixture of treatment choices. It can as well help to discover the best treatment measure in your personal recovery. At New Life Treatment Center, we think that this is even more important. Because, oftentimes, getting help after the initial treatment is the proven way to ascertain whether or not the addict is getting better. Aftercare support is something most addicts or alcoholics may lack as soon as the problem subsides. One amazing thing with drug-related programs and rehab centers is that patients will get regular visit. This means that a victim can continue to receive treatment until total perfect is achieved. Active engagement with therapy and treatment remains the best method to ensure continuous safety through aftercare. This is exactly what most professional rehab centers will provide patients. If you’re ready to get started, you can find us here: 1940 W. Orangewood Ave.
Bear in mind that self-medication and other conventional methods may fail a drug addict or alcoholic before and aftercare. For this reason, it is important to always look for a professional rehab facility or drug addiction program. Are you a victim of constant drug addiction problems? Are you still struggling with marijuana, alcohol or self-inducing items and looking for a way out? Patients can visit one of our treatment centers to get the best and fastest relief today. Our treatment center is located in Orange County and we can handle your problem professionally. Whether you need a voice in your recovery or treatment, our specialists are well-trained to handle the condition. We’re impatiently waiting for you with open arms.